Up to 22 people had died and nine others gone missing due to flash floods and landslides triggered by torrential rains in northern mountainous provinces by 18:00 on June 27. Lai Chau province suffered the heaviest losses in humans with 16 residents being killed, followed by Ha Giang, with five dead persons and Quang Ninh with one deceased victim, reported the Standing Office of the Central Steering Committee for Natural Disaster Prevention and Control. All the nine missing people were in Lai Chau province, while the province also reported 15 persons were injured and Son La province saw one person injured. Preliminary statistics showed that floods and landslides destroyed 124 houses, damaged 597 homes and submerged 1,500 others. In addition, more than 1,200 hectares of rice and crops were inundated or destroyed, while 46 hectares of aquaculture were damaged and 196 cattle heads and over 5,900 poultry were killed. Traffic on many road sections in the provinces was interrupted as they were eroded or submerged. Total damage was estimated at 457.8 billion VND (around 19.5 million USD), including 122 billion VND in Ha Giang, 314 billion VND in Lai Chau and the remainder in neighbouring provinces. 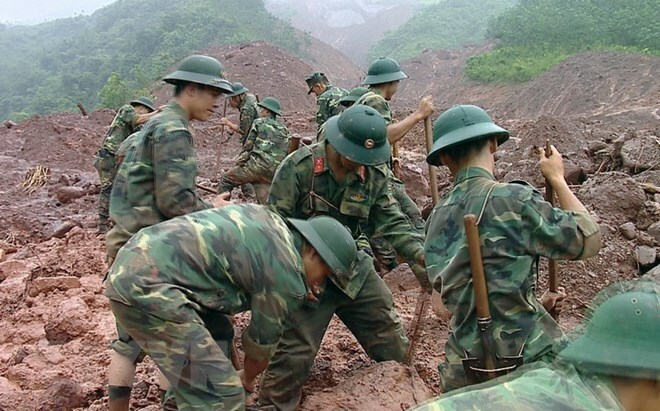 Authorities of Ha Giang, Lai Chau, Thai Nguyen, Lao Cai and Yen Bai provinces are instructing efforts to overcome the consequences, cure the injured people and search the missing.